You could have cut the tension with (ahem) a cheese wire. A crowd of fromage freaks watched nervously from the sidelines . Bob Farrand, co-organiser of the World Cheese Awards 2012, suddenly blurted out that he had goosebumps. For the first time in the awards' history, there was a tie between two cheeses in the battle to be named World Champion. In one corner was a Manchego. In the other a blue buffalo milk cheese from Italy. They were the last two cheeses standing from 2,781 entrants to the annual competition. 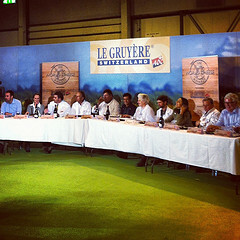 After guzzling cheese for eight hours, the grand panel of judges had one last crucial decision to make. Which of the two would take the title? 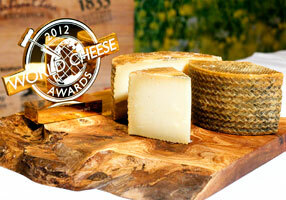 In the end the Manchego won it by a whisker after a show of hands vote from the judges. Made by a company called Dehesa de los Llanos in Albacete, the Manchego DO Gran Reserva is made with raw milk and matured for at least nine months. It was the first Champion from mainland Spain in the two decades that the awards have been running. "A stunning cheese - light, with high notes like a choral song and an aromatic, long finish,” is how the judging panel described it. After recovering from his goosebumps, Farrand declared it "an exquisite example of an artisan cheese made with incredible skill". 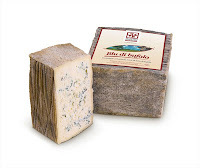 The blue cheese that oh, so very nearly took the crown was a rich brick-shaped blue called Blu di Bufala (below) from a company called Azienda Agricola Gritti Bruno E Alfio. Hard cheese, you might say. In all, 255 judges from around the world took part in the awards, staged alongside the BBC Good Food Show at the Birmingham NEC.Cheese from 30 countries was entered into the awards with 75% of entries coming from overseas. Two British cheese made the final shortlist of 16 Super Gold cheeses: Spenwood, a hard-pressed cheese made from unpasteurised ewe’s milk, matured for six months; and Barkham Blue, a buttery blue made with Guernsey and Jersey milk. There was also a really good showing from the US (see below for the full list). Azienda Agricola Gritti Bruno E Alfio S.S. 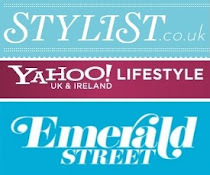 The entire list of all the award winners can be downloaded here.